NEXTDC (ASX:NXT) has posted $23 million net profit after tax (NPAT) for the year ended in June 2017, a significant change from FY16 $1.8 million NPAT, representing a boost of $21.2 million. The data centre provider has experienced significant growth during the financial year with the number of customers going up 19 percent, from 647 to 772, and also revealing growth in customer orders and data centre revenue. Data centre services revenue for the year increased from $89.3 million to $117.6 million. The increase in revenue was largely driven by increased utilisation of data centre services across the business by 21 per cent, as well as an increase in establishment fees. As at 30 June 2017, NEXTDC was billing for approximately 29.5MW of capacity compared to 23.2MW in 2016. “We continue to experience strong demand for NEXTDC’s premium data centre services right across the national footprint,” CEO Craig Scroggie said. “NEXTDC’s sales pipeline is at an all-time high. We are currently in advanced negotiations in relation to several large customer opportunities, which are likely to result in a significant increase in the Company’s contracted utilisation base”. NEXTDC posted earnings before interest, tax, depreciation and amortisation (EBITDA) of $49 million and revenue of $123.6 million, or $30.8 million more than the previous year. “We are very pleased with our FY17 results. They demonstrate the Company’s continued strong growth with significant increases in contracted utilisation, strengthening EBITDA and a more than doubling of operating cash flow. Coupled with liquidity greater than $600 million, NEXTDC is in an outstanding position to take advantage of current and future customer opportunities,” Scroggie added. The company is currently increasing the capacity of two data centres, Brisbane’s B2 and Melbourne’s M2, for customer access in the first half of 2018. The company has also received approval for a new facility in Sydney, S2. “Three new world-class hyperscale data centres are in development as we achieve industry leading certifications for design and construct standards, operational excellence and energy efficiency,” Scroggie said. 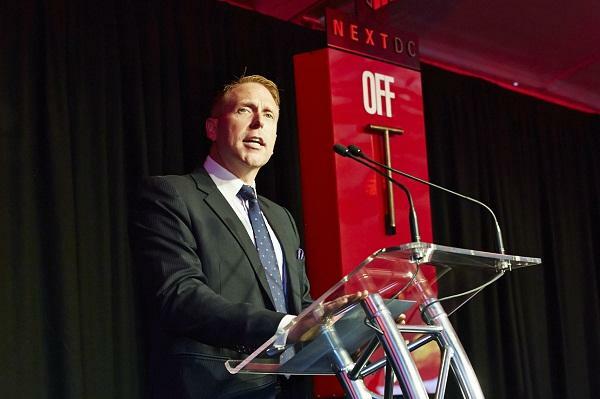 NEXTDC has been through an ongoing battle to acquire Asia Pacific Data Centre Group (APDC) which owns the lands occupied by NEXTDC’s data centres. NEXTDC currently owns 21.1 per cent stake in APDC and the takeover offer is expected to close on 15 September. For the 2018 financial year the company expects underlying revenue in the range of $146 million to $154 million and underlying EBITDA should be in the range of $56-$61 million.